Dancers Unite has great summer dancing classes for toddlers. 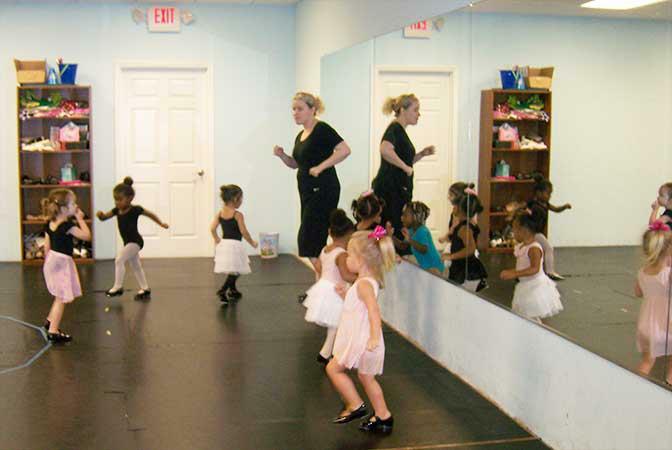 It is great for both beginner and experienced toddler dancers. Our summer dance classes are similar to our dance classes that run through the year. The dance classes include ballet, tap, creative movement and acrobatics. You do not have to pay a registration fee, though, for our summer dance class. It is a great way to try our dance classes before the dance year begins. For more information on how to sign up for these summer dance classes, please see our Summer Dance Program Page.